The San Francisco Silent Film Festival asked me to do some posters for this years lineup. They have an awesome bunch of films playing so if your in San Francisco make sure you head down to the Castro July 15 -July 18. 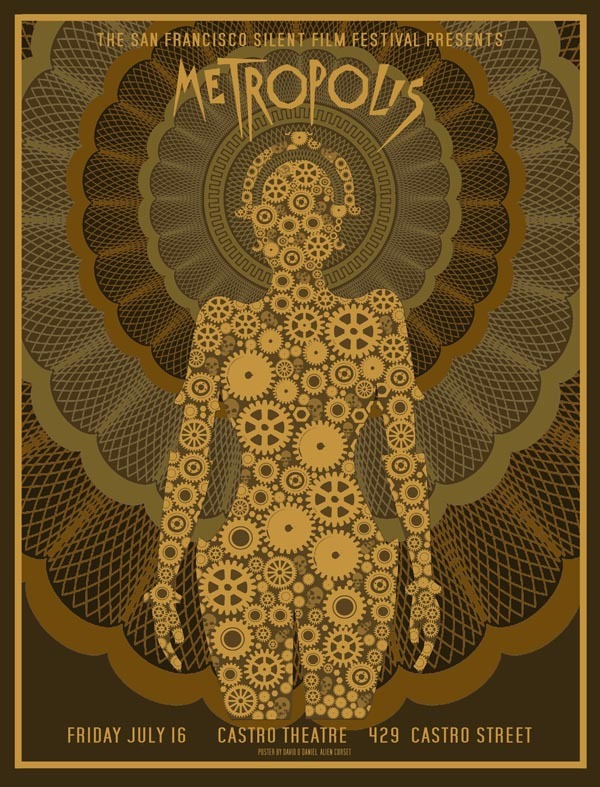 First up Fritz Langs Metropolis. 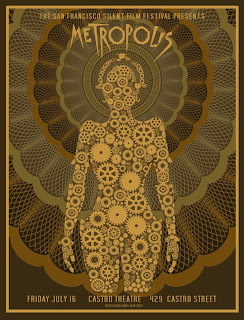 This poster has 3 different shades of metallic gold and is 19 x 25 inches. Edition of 125.